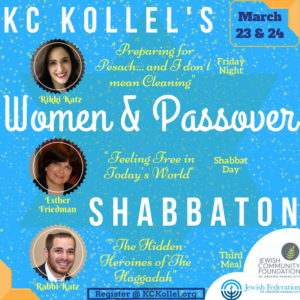 THE KC KOLLEL WOMEN’S SHABBATON IS FINALLY HERE! Thank you for the invite, I will not be able to attend this year. I will send a donation to the Kollel in support of this program and/or to be used toward greatest need.